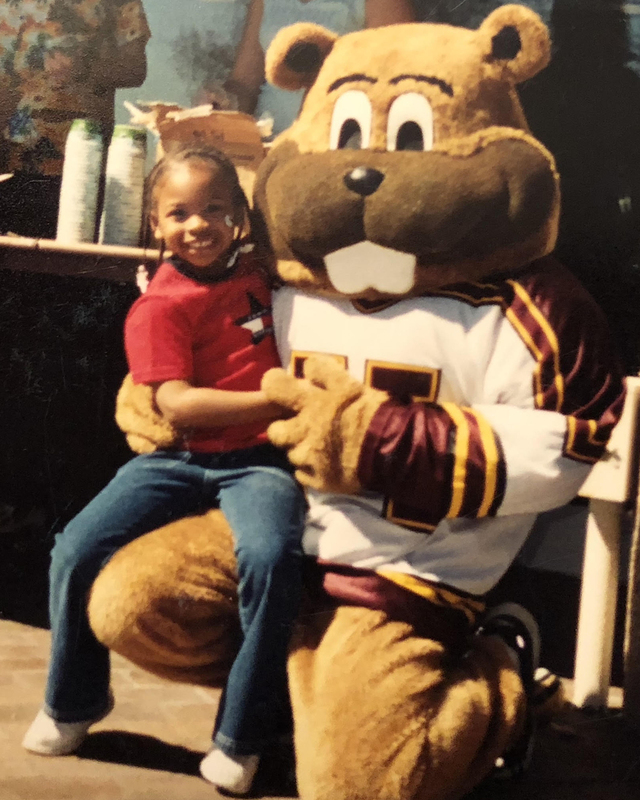 When Devyn Smith, ’18, walked across the stage at Mariucci Arena and received her diploma, she had a University legacy cheering her on. 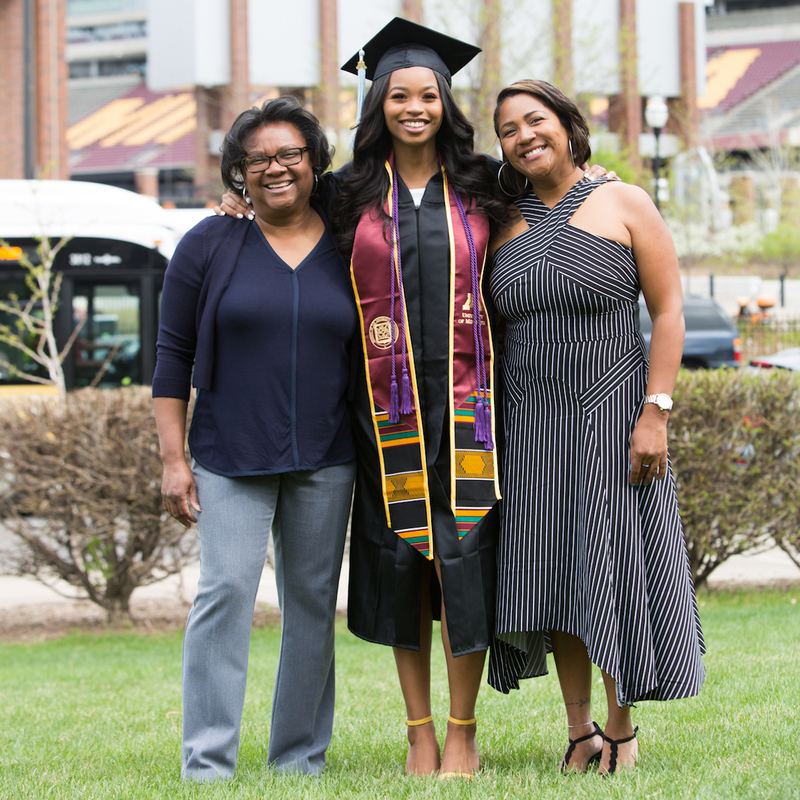 In the crowd were her mother, Stacye Ballard, and grandmother, Gail Robinson, both University of Minnesota graduates. Smith’s degree in human resources development makes her the third generation of alumnae in the family. To say her family was excited to see her graduate is an understatement. Smith was just one year old when she watched her mother graduate, but the significance isn’t lost on her. 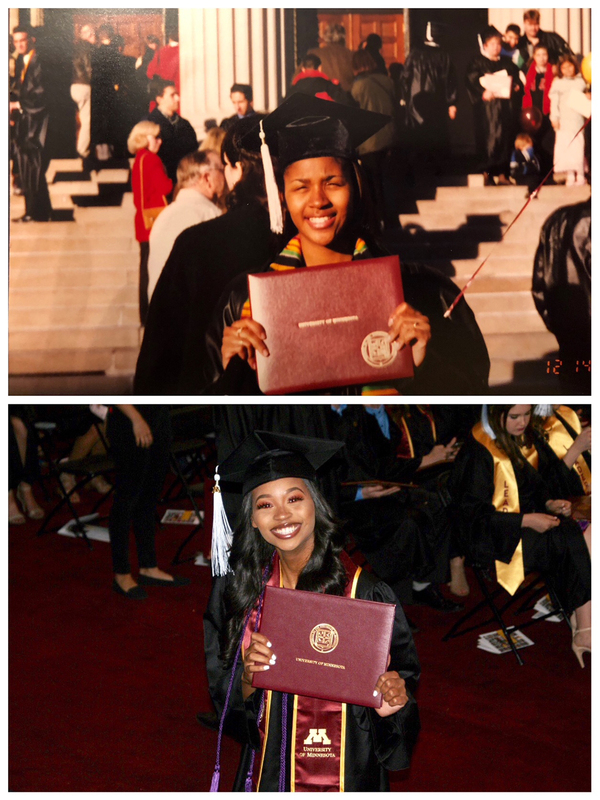 “Knowing that my mother and grandmother graduated from college made me very aware that I could also be a college graduate,” according to Smith. As a young adult in Indiana, Robinson got her first jobs in the patient care field, but she held greater expectations for herself. After a move to Minnesota, she decided to take action. 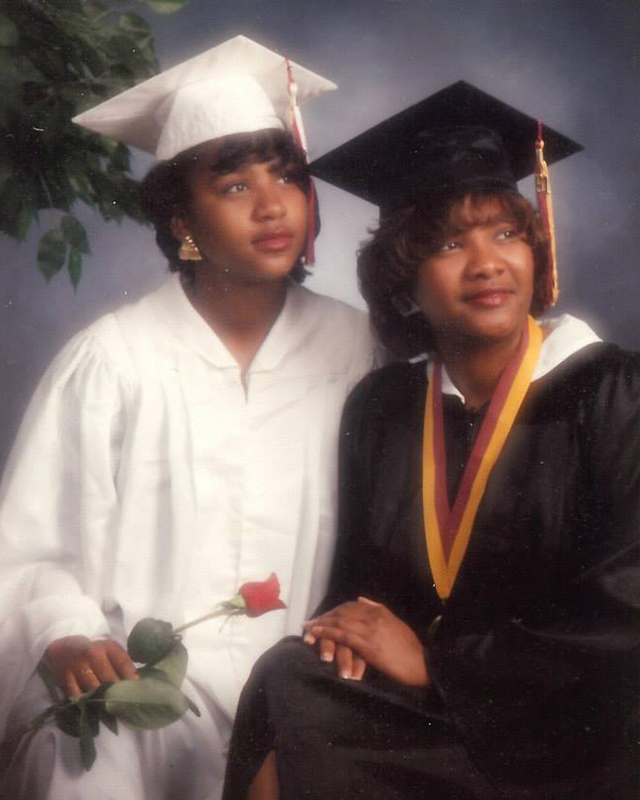 Gail Robinson, right, graduated from the U in 1991, the same year daughter Stacye graduated from high school. Robinson’s college goals meant that Ballard couldn’t spend as much time with her mother. She credits her grandparents for providing a lot of care while Robinson was in school. But she still saw Robinson as a role model from a young age. Robinson earned her degree in business with an emphasis in management information systems from the Carlson School of Management in 1991—the same year her daughter graduated from Highland Park Senior High School. 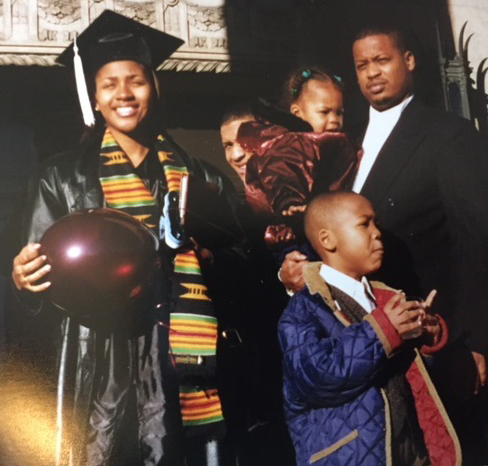 Years later, while Ballard earned her own college degree, she was raising two young children of her own. University resources like the Student Parent Help Center made the difference for her as a nontraditional student. Ballard graduated in 1997 with a degree in psychology and a minor in African American studies from the College of Liberal Arts. She emphasized the value of higher education to both her children from the time they were little. Smith says she always knew she’d go to college. When it came time to begin, her decision to stay local didn’t surprise her family. To Ballard, her daughter’s continuing the family’s tradition at the U was a no-brainer. “She loves Minnesota,” Ballard says. As Smith considered which major to choose, someone close to her suggested she give human resources development a try. “I took an intro course, and I liked it a little, so I kept going,” Smith says. Now, she has an internship as a recruiter with a Minnesota company. For Robinson, attending college didn’t just improve her own life. It changed the course for two more generations of women. Finding strong examples and role models is what Robinson recommends to other parents and grandparents supporting children into and through higher education. “What you see is what you do,” says Robinson. Learn more about the human resource development program in the Department of Organizational Leadership, Policy, and Development.